Long before the symptoms of Alzheimer's disease appear, the brain begins to change and neurons gradually get degraded. 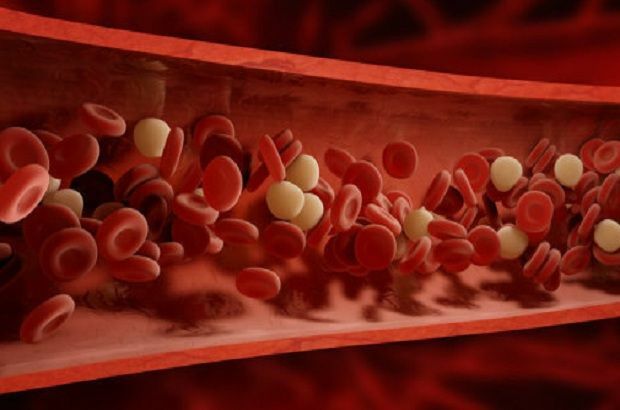 Now, researchers have shown that the protein found in the blood may be used to monitor the progression of the disease precisely, long before the clinical signal appears. This blood marker provides new possibilities for testing therapies. The study was conducted by the scientists at the Hertie Institute for Clinical Brain Research (HIH), the German Center for Neurodegenerative Diseases (DZNE) and the University Hospital Tuebingen and it was done in collaboration with an international research team and research report was published in the journal Nature Medicine. When the brain cells die, their remains can be detected in the blood. Generally, however, such proteins decrease rapidly in the blood and hence are not very suitable as a marker for the neurodegenerative disease. An exception, however, is a small piece of the so-called neurofilament that is surprisingly resistant to this decline. The blood test of Jucker and colleagues for Alzheimer's is based on this protein. In the current study, scientists point out that long before the onset of clinical symptoms the neurofilament accumulates in the blood and it shows the reflection of the disease pathway very sensitively and enables predictions on future development. The research is based on data and samples of 405 people, which were analyzed within international research collaboration: "Dominantly Inherited Alzheimer Network" (DIAN). In addition to German Center for Neurodegenerative Diseases (DZNE, the Hertie Institute for Clinical Brain Research (HIH), the Washington University School of Medicine in St. Louis (USA) and the University Hospital Tuebingen, and other institutions around the world. involve in this study. This network examines the families in which Alzheimer's disease is already in middle age due to some gene differences. The genetic analysis allows very accurate predictions when and whether family members develop dementia. Jucker and his colleagues have developed the nerve cells and neurofilament concentration in these people from year to year. Sixteen years before the onset of calculated dementia symptoms,, there were significant changes in the blood. “It is not a complete neurofilament concentration, but it is a temporary development, which is meaningful and allows predictions about the future progression of the disease. In fact, in further studies, researchers have shown that changes in neurofilament concentration reflect the neuronal degradation with extreme accuracy and allow the predictions about how brain damage develops. We were able to predict the loss of brain mass and cognitive changes which actually happened two years later,” says Jucker. Although it has been found that the rate of change in neurofilament concentration was precisely associated with the decline of the brain, the correlation with the statement of toxic amyloid protein was very clear. It supports the notion that although amyloid proteins are triggers of the disease, independently neuronal degradation occurs. Neurofilaments not only accumulate in the blood in case of Alzheimer's but also during other neurodegenerative disorders. Thus, the test is only suitable for conditional diagnosis of Alzheimer's. “However, the test shows accurately the course of the disease and, therefore, novel tests are a powerful tool for the investigation of Alzheimer's treatments in clinical trials,” said Mathias Jucker, he is a senior researcher at the German Center for Neurodegenerative Diseases - DZNE's Tuebingen site. Story Source: ScienceDaily - "Early prediction of Alzheimer's progression: Blood protein".